"KeyCoMath" promotes pupils' active, exploratory learning in open and rich situations to deepen their ability of mathematical thinking and to support the development of mathematical understanding. "KeyCoMath" closely intertwines doing mathematics and communicating with others orally or in written form. Pupils are encouraged to talk about mathematics, to discuss ideas, to write down thoughts and reflections and to present results. In "KeyCoMath" pupils work with learning environments that include digital media (e.g. spreadsheets, dynamic geometry, computer algebra). By working mathematically they develop a confident, critical and reflective attitude towards ICT. "KeyCoMath" emphasises pupils' self-regulated and autonomous learning. Thus, they develop abilities to manage their learning (both individually and in groups), to evaluate their work and to seek advice and support when appropriate. "KeyCoMath" fosters pupils' collaboration and communication. They cooperatively do mathematics, discuss ideas, present findings and have to understand different viewpoints to achieve common mathematical results. "KeyCoMath" strengthens exploratory, inquiry-based learning in mathematics. Pupils are encouraged to be creative, proactive and to turn ideas into action. They develop abilities to plan, organise, and manage their work. 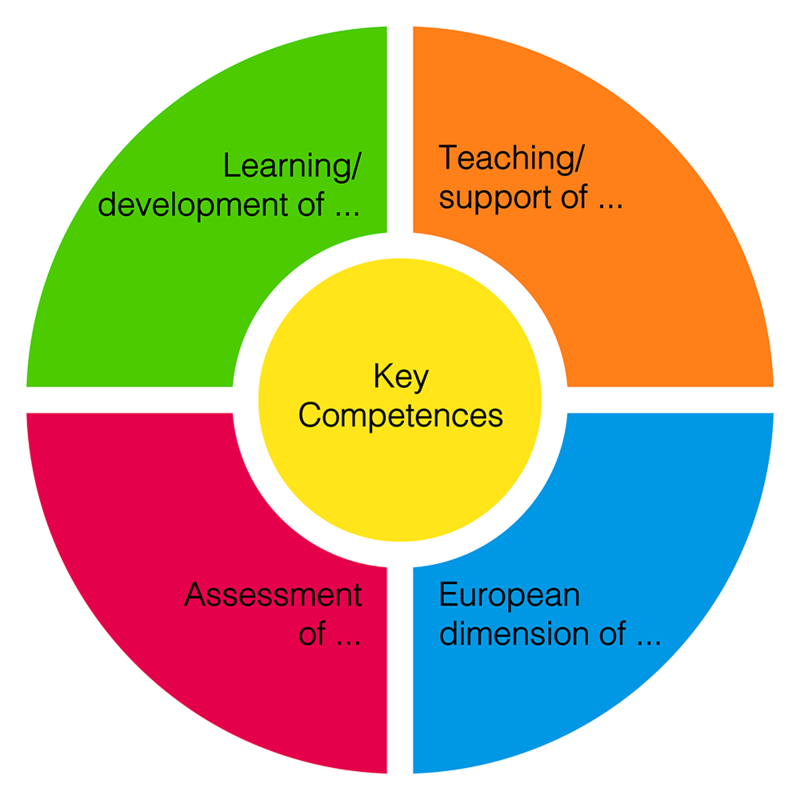 The project "Developing Key Competences by Mathematics Education" (KeyCoMath) aims at the development of students' key competences in primary and secondary schools. Didactic concepts, teaching and learning material as well as corresponding assessment methods for mathematics education are developed, tested, evaluated and disseminated on the European level. "KeyCoMath" uses the power of initial and in-service teacher education to put innovative pedagogical and didactical approaches into practice. This project has been funded with the support of the Lifelong Learning Programme of the European Union. This communication reflects only the author's view. The European Commission and the EACEA are not responsible for any use that may be made of the information contained. The project aims at innovations of mathematics education on the European level in four target areas. "KeyCoMath" aims at fundamental changes of pupils' learning. A shift towards more active, exploratory, self-regulated, autonomous, communicative and collaborative learning is intended. This way of doing mathematics helps to develop a broad variety of key competences. These changes of pupils' learning require and are based on changes of teaching. Teachers develop expertise to arrange learning environments in order for pupils to work in the intended way and to develop key competences. Assessment methods that correspond with the competence-oriented approach are developed, tested and evaluated. Pupils work mathematically with open "learning/assessment scenarios", they write down their thoughts and findings, present and discuss results. Teachers are sensitized to use this information to diagnose pupils' competences, to adapt teaching to learners' needs and especially to support pupils with difficulties. "KeyCoMath" contributes to overcome the European problem of low-achievers. Furthermore, the partners identify and develop strategies for integrating the European dimension in teaching and learning mathematics. The partners use the power of in-service teacher education for initiating innovations in mathematics education. Networks of teachers are intensively involved in the project. They are made familiar with didactic concepts for teaching, learning and assessment to support pupils' key competences. 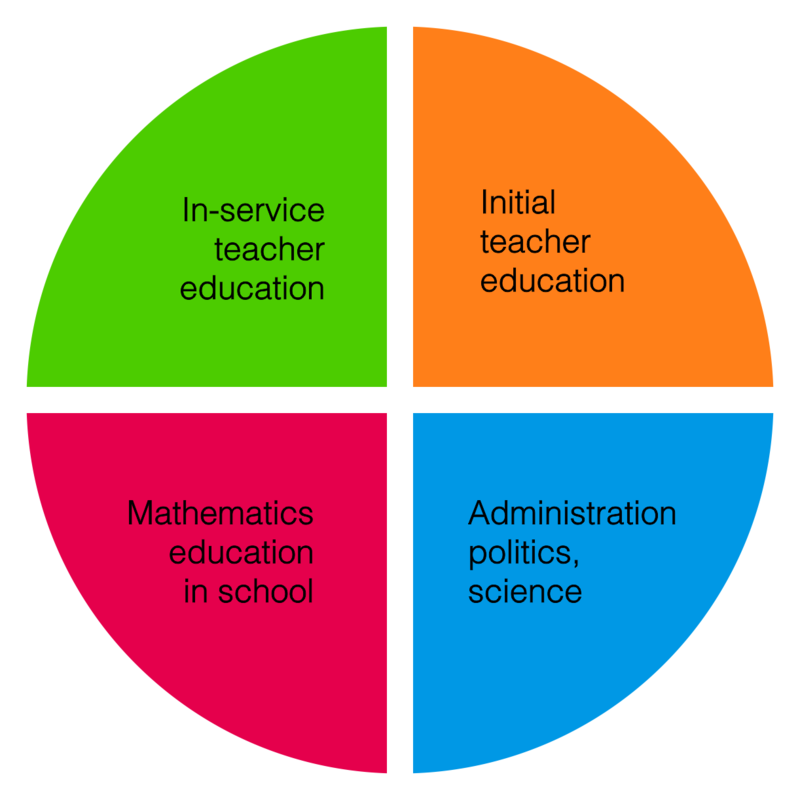 Initial teacher education is the basis of mathematics education in the future. Therefore, the partners implement the didactical concepts in initial teacher education. Dissemination and exploitation strategies with publications of didactic concepts and concrete teaching/learning/assessment material in Bulgarian, Czech, English, German, Greek and Norwegian contribute to the improvement of mathematics education in school on the large scale in Europe. To enhance the impact on the level of educational systems, project results are distributed among decision-makers in politics, administration and educational practice as well as in the scientific community of mathematics education.